Since February, survivors of the Parkland shooting massacre and their families have spent their waking moments advocating for change and honoring the victims of the shooting. On Saturday, March 24, the organizers for “March for our lives” took back their lives. 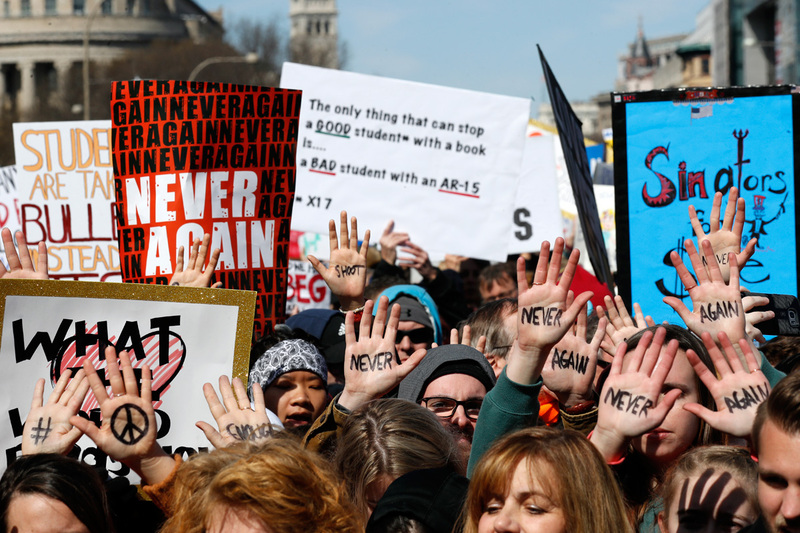 These students and thousands of supporters took to the streets of Washington D.C. to spread awareness through a highly choreographed event attended put together in only five weeks. The funding, according to organizers, came from crowdfunding and other donors, such as celebrity stars Oprah Winfrey and George Clooney. “The point of the march is to put politicians on the spotlight to not sit on their butts and do something to try to protect a young population from violence of others that seek to disrupt and oppress radical ideas,” stated senior James Willis. Parkland student Cameron Kasky started the crowdfunding campaign that raised a total of about $3.5 million and had over 40,000 donations made to the cause, including a donation from Clooney and his wife, Amal, who pledged $500,000. Half of the funds raised during the event were paid toward the march in Washington while the other half will provide the victims and families of the Parkland shooting with financial support. “While the march was well-intentioned and well-meaning, I am afraid that in a few months no one will remember these events,” confesses senior Alistair Woodell. Still despite all of this, the survivors of Parkland have claimed this event as their movement into the right direction. They will continue to push Congress and citizens until a decision has been made in hopes that their words and actions will be recognized.